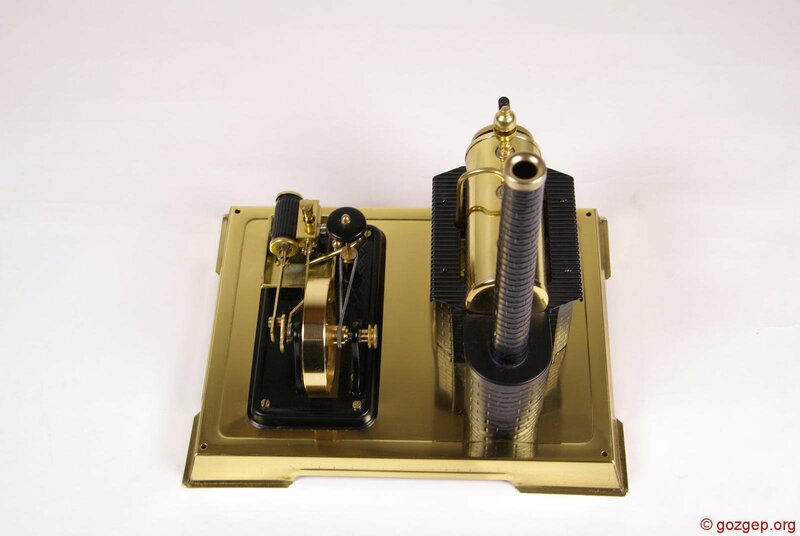 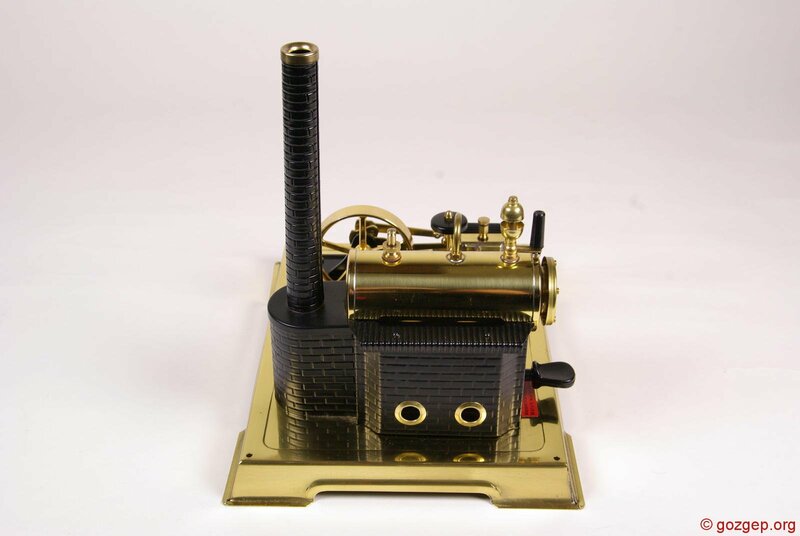 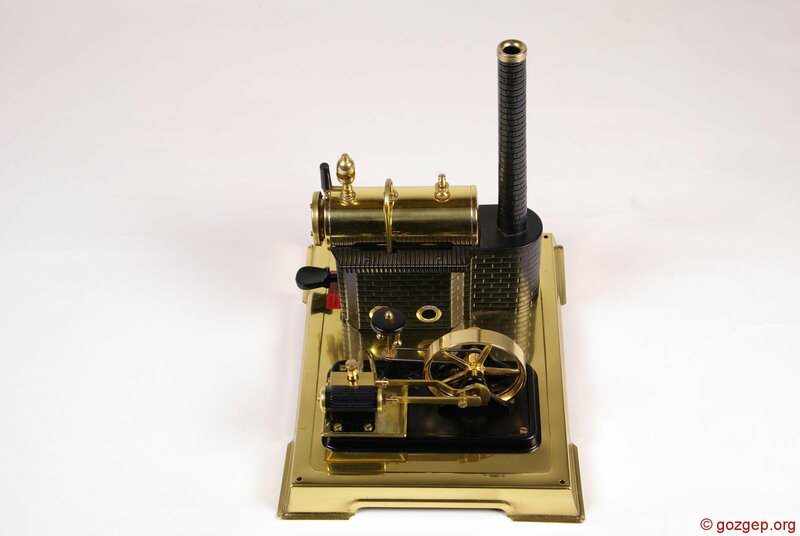 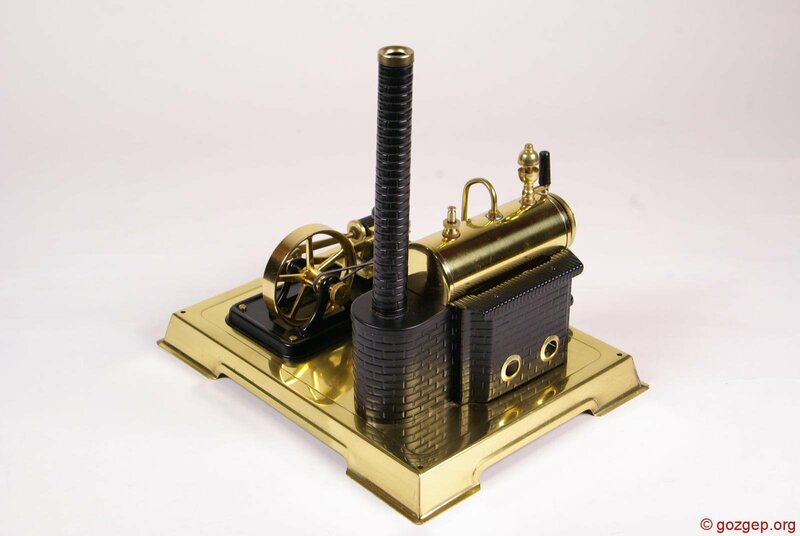 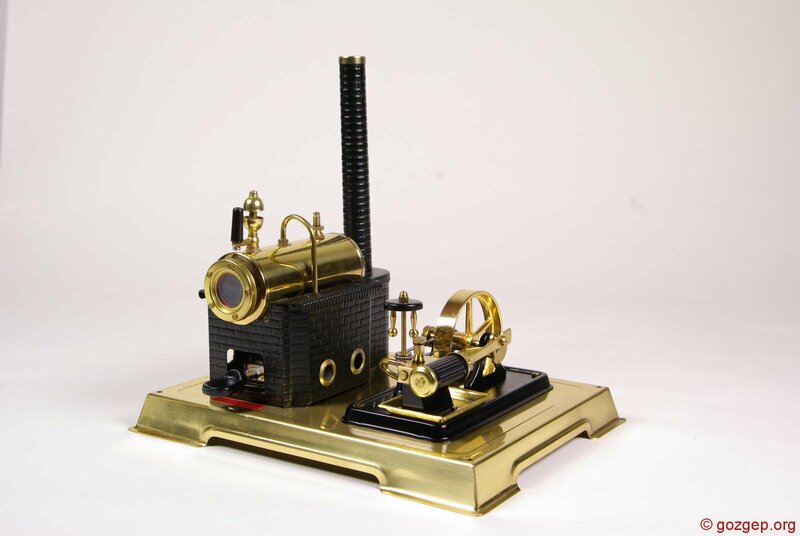 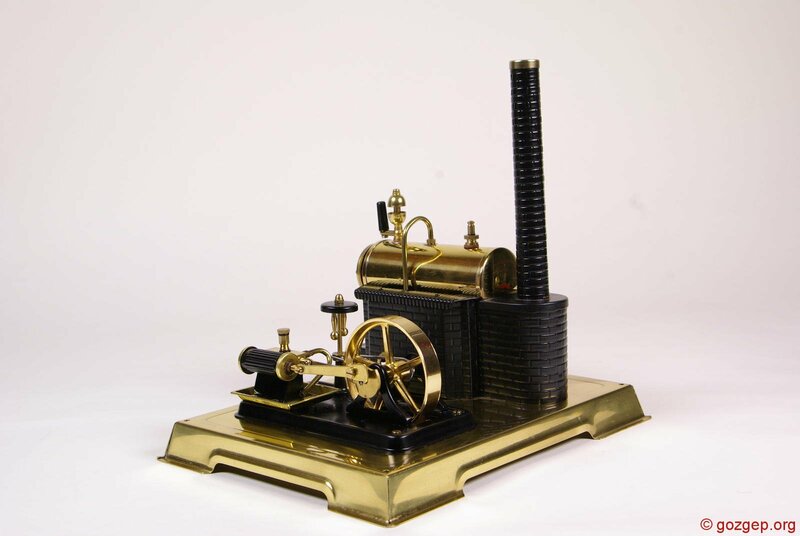 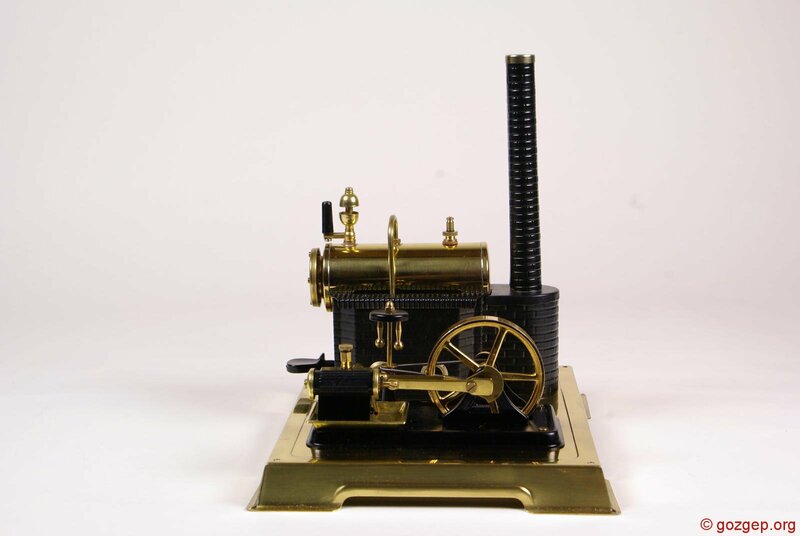 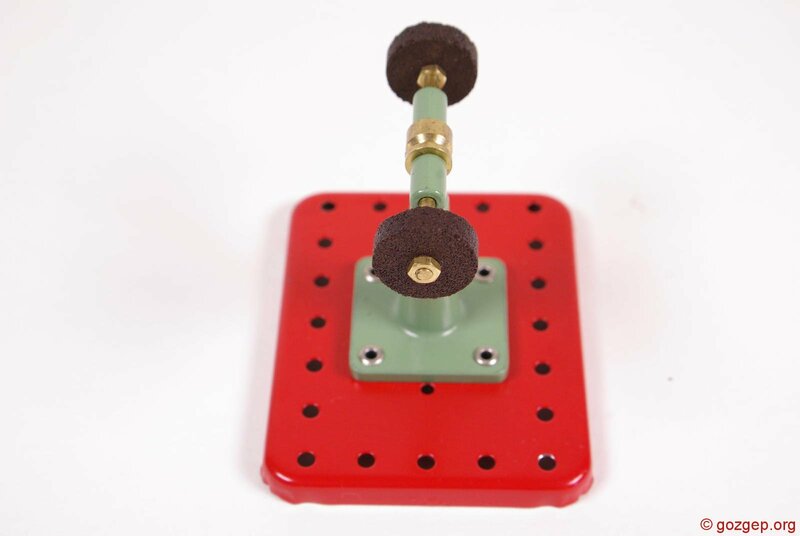 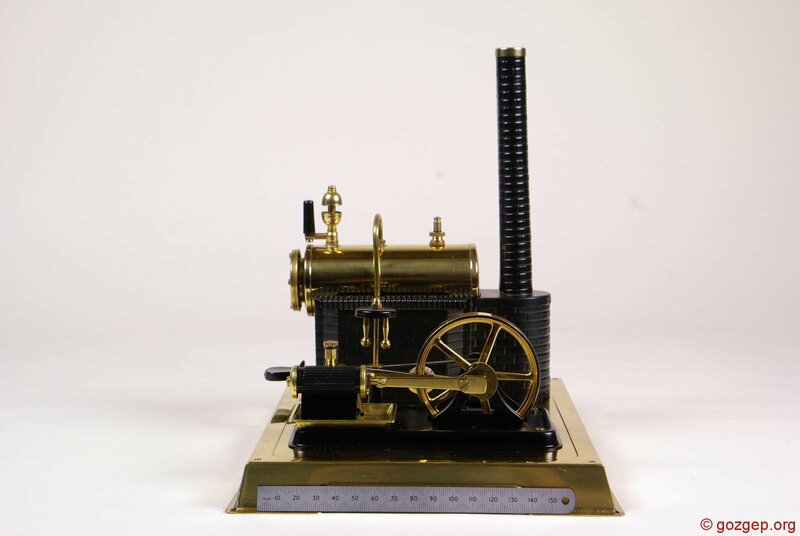 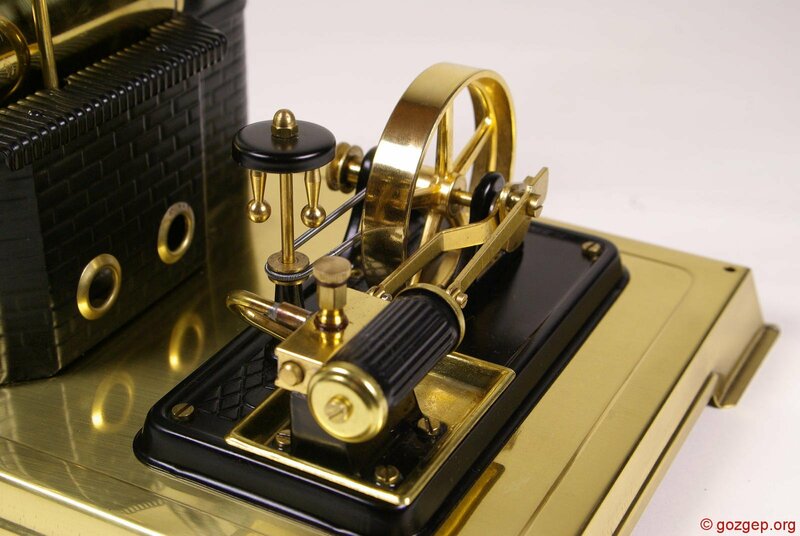 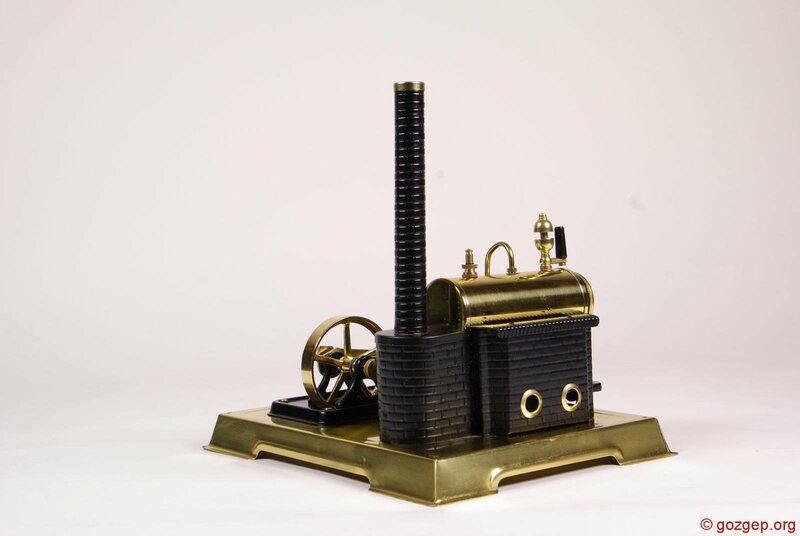 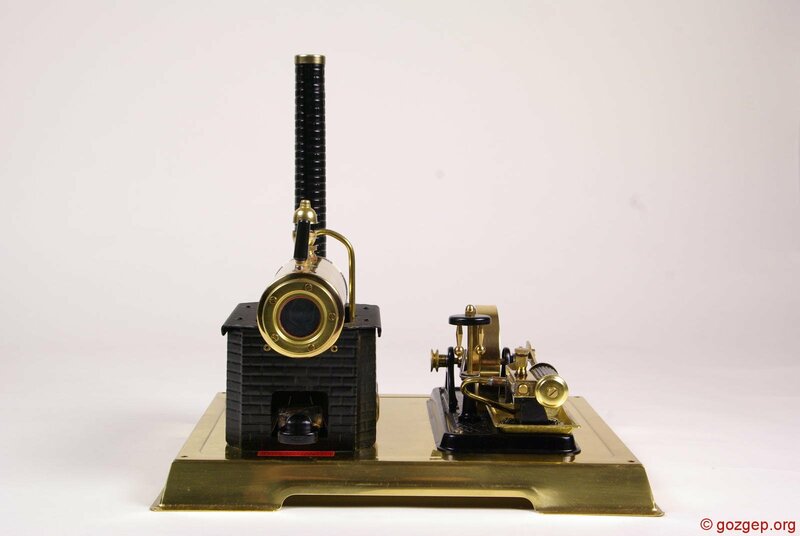 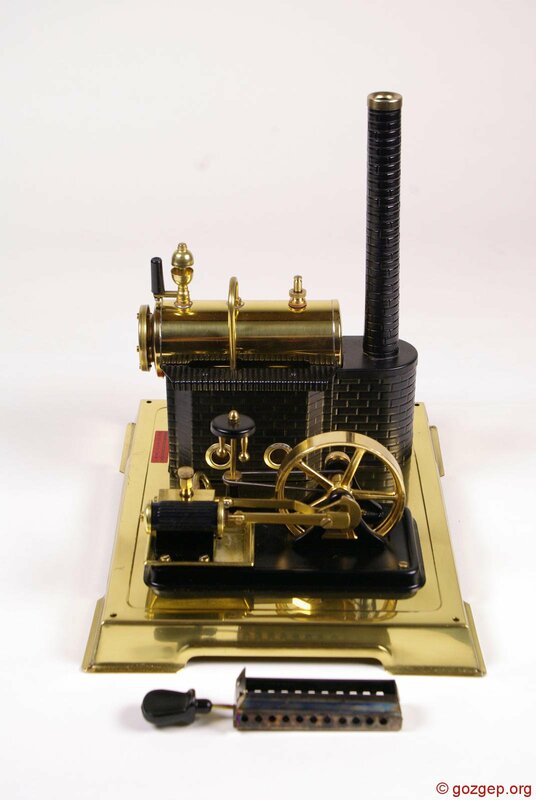 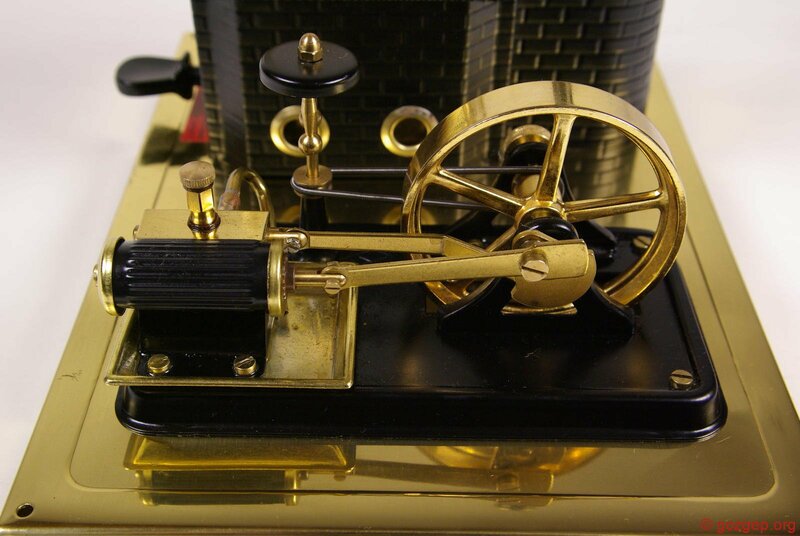 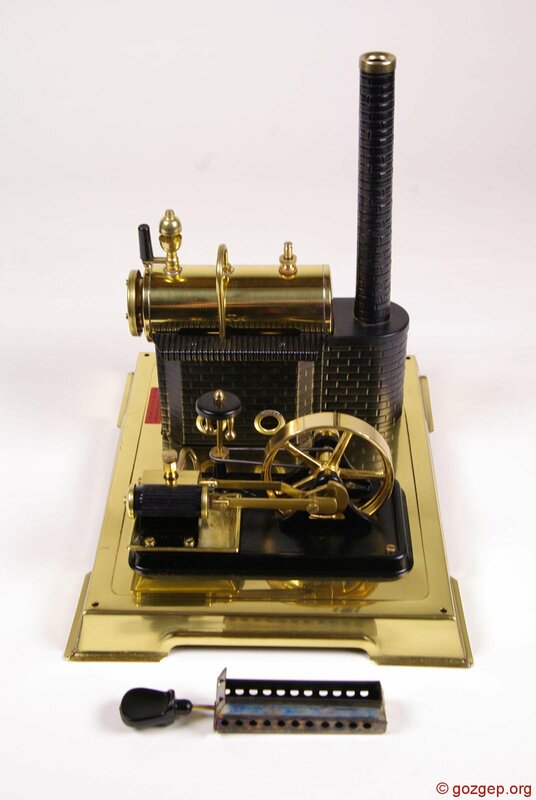 This is our first German stationary model steam engine. 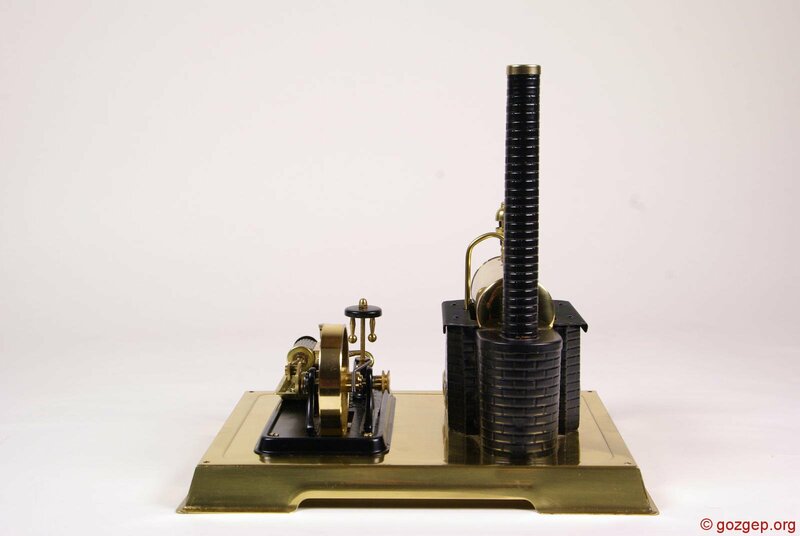 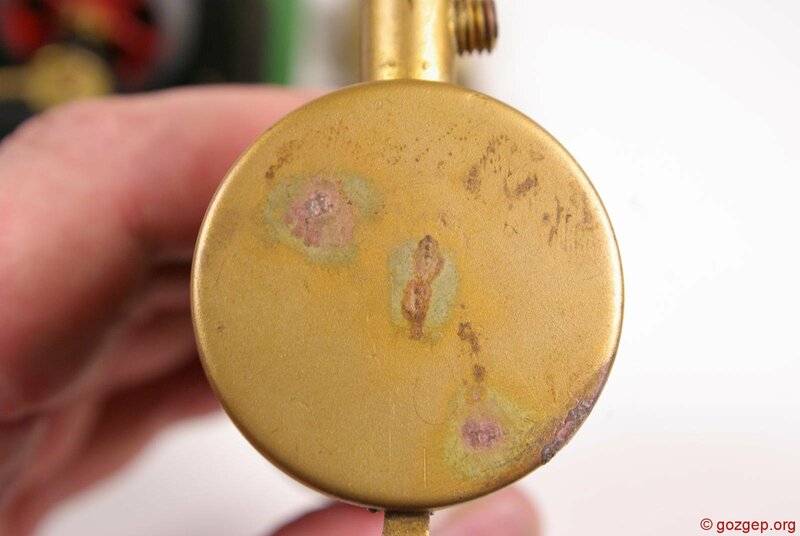 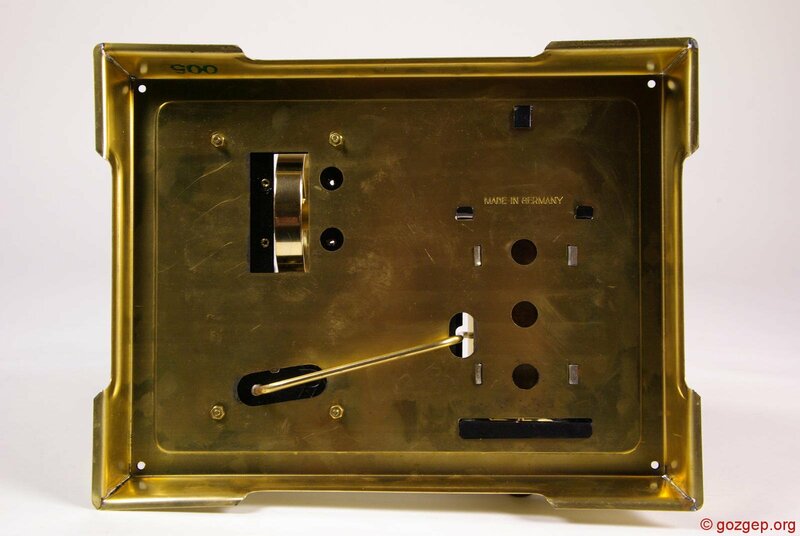 It is also our first slide valve engine, our first engine with a brass base-plate, our first solid-fuel engine, our first all-metric engine and our first with a sight glass. 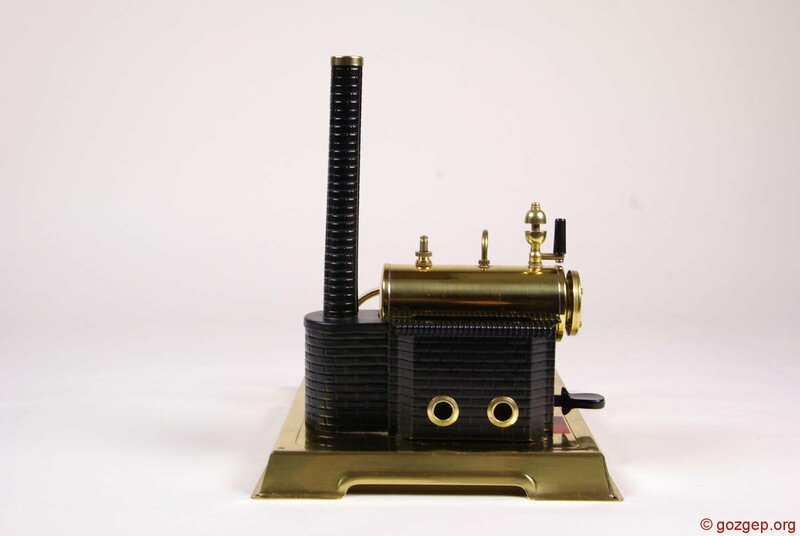 But then, this gőzgép is rather younger than most of our other residents. 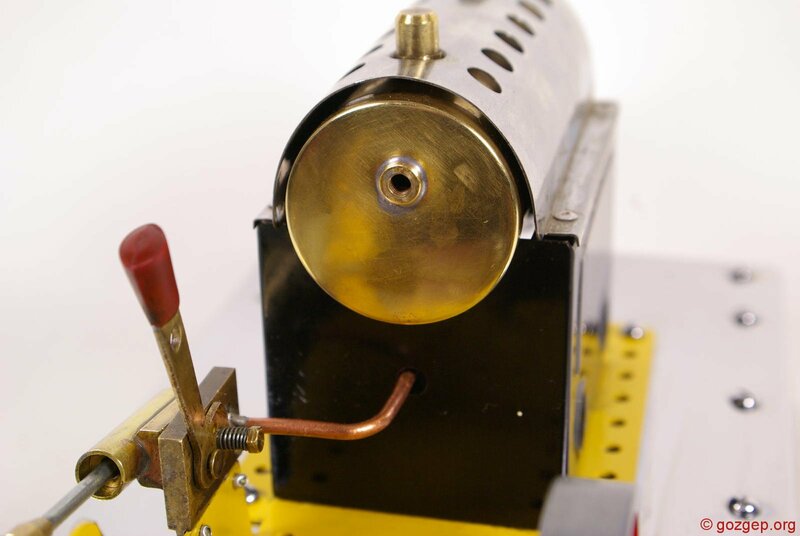 Burner Capacity: 10 grams. 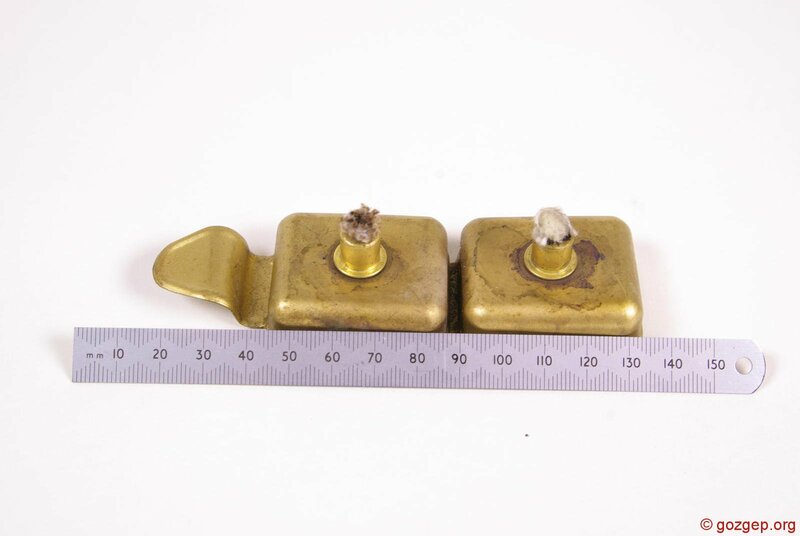 Equates to about one tablet, broken in two, plus a little bit!